With play just about to start on The Second Test of the summer 09 Ashes Series at Lords, our thoughts turn to cricket. If you haven’t already heard it’s an Ashes Summer! And if you’ve been inspired by the heroics of “Freddie”, “KP” and “Monty” to name but a few, why not re-enact or re-write some great test matches with a spot of beach cricket! 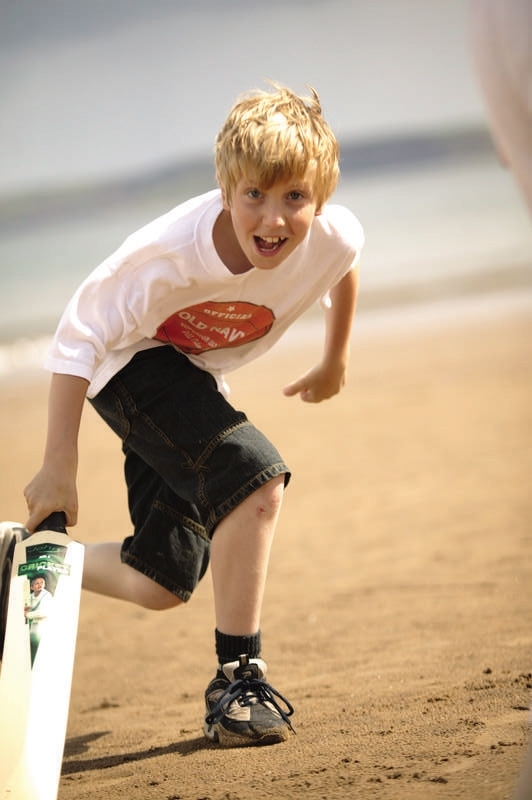 It’s the perfect game to involve the whole family, meet new friends, and, as the equipment needed is minimal (a bat, a ball and 4 piece of wood) any spot on the beach can be your Cardiff, Lords, Edgbaston, Headingley or Oval! To help get you started we’ve compiled the cottages4you unofficial guide to beach cricket with some basic rules, hints and tips to make the game more enjoyable! Please feel free to download it and take it with you on your next holiday. (tip – if possible, ‘beach proof’ it by laminating it). Once you’ve had a game we’d love to hear how you got on. Have you compiled a mammoth innings (if so how much), hit the biggest six (if so, how far? ), taken a great catch or got a brilliant “5-for”? If so, tell us about it! Share any funny stories with us – did a dog steal the ball, did Dad get out first ball or a Seagull stop play? We want to hear all your stories throughout this Ashes summer, add a comment to this post! In the meantime, enjoy your cricket, enjoy the summer and as the Umpire would say “play”!…..
Not sure about #9 (I don’t fancy wearing my whites on the beach!) but #8 is a good un!